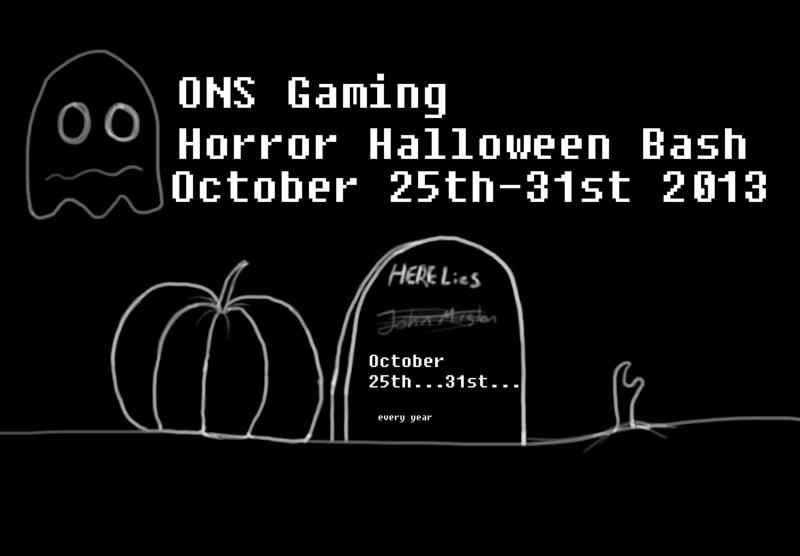 Hi ONS Gamers, Tirc back with my submission for Halloween Bash week. My favorite “scary” game of all time (I don’t really like many games in the horror genre) is from my favorite retro console. 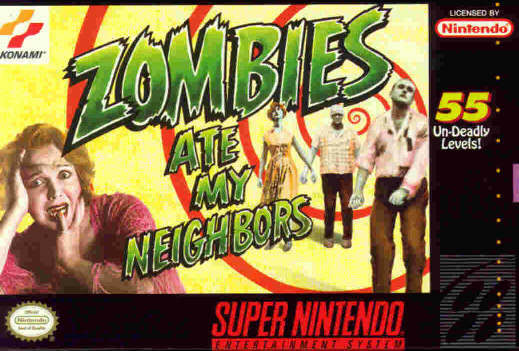 Zombies Ate My Neighbors on the SNES is an extremely fun and challenging game. It was developed by LucasArts and produced by Konami and released on September 24th, 1993 then again on Virtual Console on October 26th, 2009. 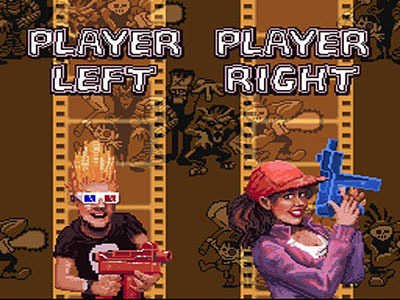 The game was ported to the Sega Mega Drive and there was a sequel called Ghoul Patrol that was released the following year in 1994. I don’t remember there being much hype for the game when it came out, but it can definitely be considered a cult classic. You start off as either the male or female protagonist and are dropped into a world filled with so many tropes from the horror movie genre. You start off fighting relatively easy opponents such as zombies and it ramps up to chainsaw wielding brutes, giant ants and giant worms. Many weapons can be obtained throughout the numerous levels. You start out with an Uzi water gun but can pick up soda can bombs, weed whackers, silverware and bazookas to just name a few. There are also several items available for pickup as well such as health packs, body altering potions, keys and clown attack dummies. You travel through many different locales such as a suburban neighborhood, pyramids, a mall, a beach and more. The goal in each level is to rescue as many neighbors as possible and the more you rescue the more points you receive. You only need to rescue one neighbor in a level in order to move on to the next. The kicker is, the enemies on the level will kill the survivors if they happen to touch them before you do. If a neighbor is killed then that type of neighbor won’t be available on the following levels unless you earn enough points to earn them back. You can also earn extra lives with points. There are a ton of levels, 55 total including bonus levels. The difficulty gets pretty tough about midway through the levels. It can get fairly frustrating but for those who enjoy a challenge it’s just more content to tackle. While solo play is really fun in this game I think the best experience can be had while playing co-op. I can remember playing this with my brother when I was about 12 and he was 8 or 9 and while I sometimes got frustrated at him for running the wrong way (in my opinion) it was a lot more fun with 2 people. 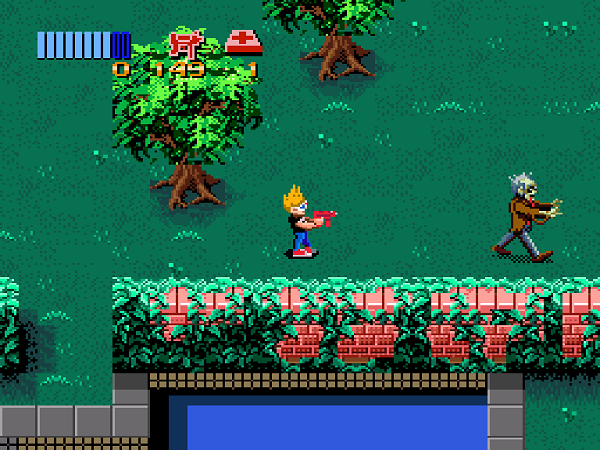 Being able to attack some of the enemies from multiple angles or just having 2 weapons going after them made it easier. Every few levels you will get a four digit password where you can start at that point if you lose all of your lives. You do not get the items you had before you died, but you get 3 new lives. What is more terrifying than a giant baby?!? This is one of if not my favorite top down action shooter from classic consoles although I have never beat the game, however it is on my video game bucket list and would like to go back and play it and finally get through it. 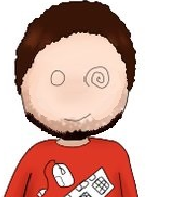 Stay tuned, I may do a Gamecast(let’splay) on it for the website, I’ll announce it if I do. This article will wrap up our Halloween Bash week! Thank you very much for reading all of our posts this week, we hope you enjoyed them. We will now return to our normal line up of articles. Check the calendar or be on the lookout for an announcement for our next theme week!